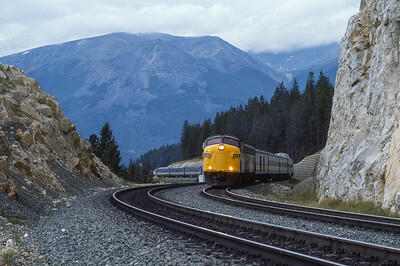 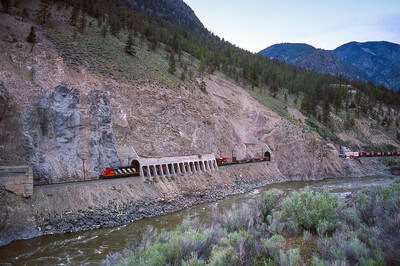 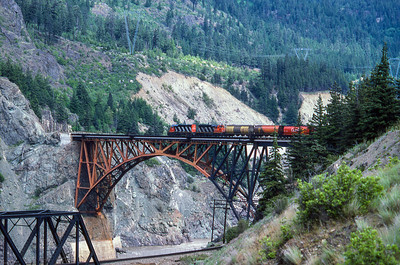 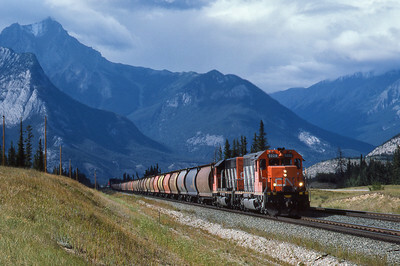 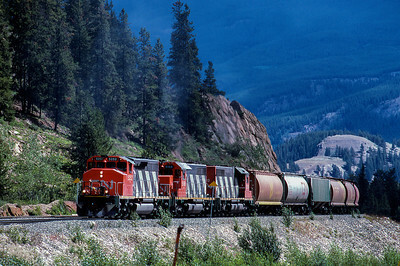 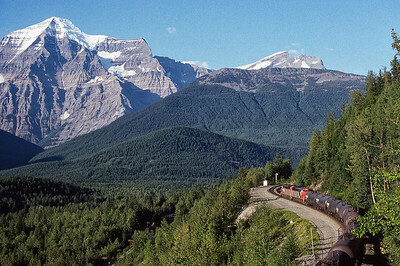 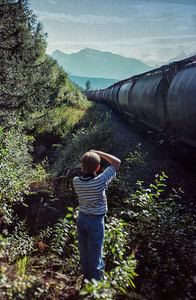 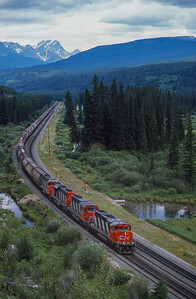 "Climbing around for a Better View"
Two unit trains meet west of Jasper, Alberta 1988. 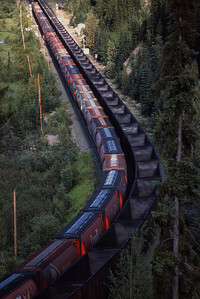 Over 100 empty grain hoppers heading East from Jasper, Alberta 1988. 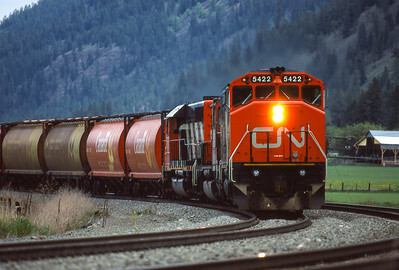 CN Westbound along Yellowhead at Mt. 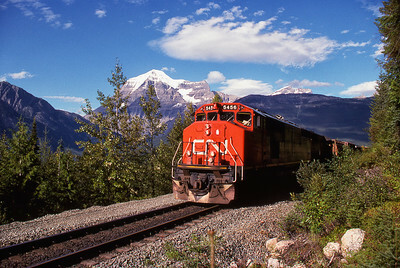 Robson. 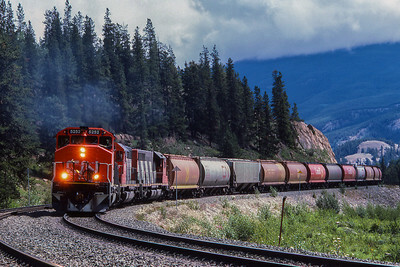 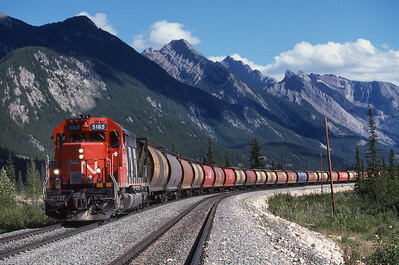 CN Eastbound at Mt. 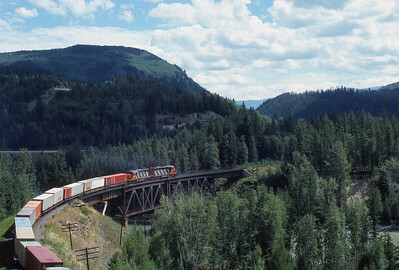 Robson, 1991. 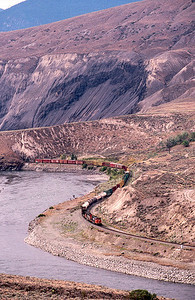 Son, Bryan, captures a shot along the Yellowhead, 1991. 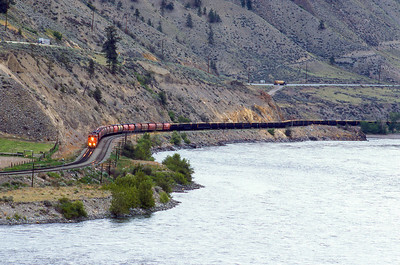 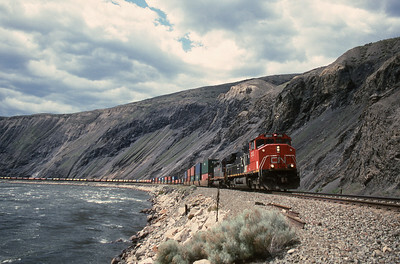 CN Westbound grain train approaches Kamloops, BC 1986. 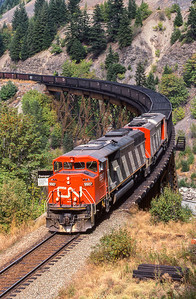 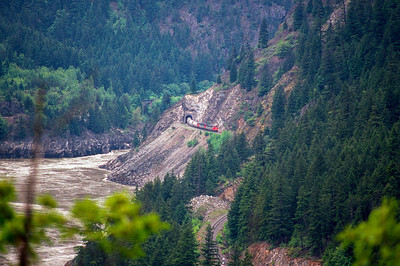 CN Westbound along the Fraser River 1986. 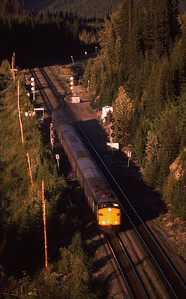 CN Westbound unit grain train approaches Jasper, Alberta 1988.